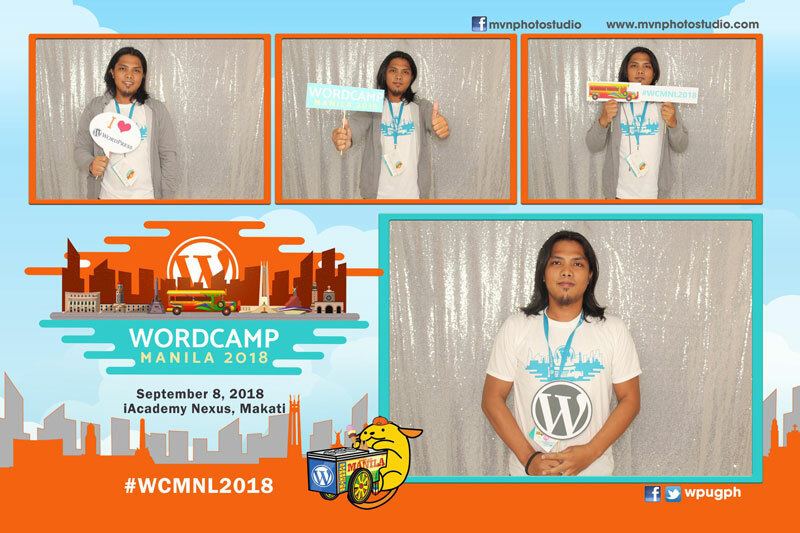 I recently attended the 2018 Wordcamp Manila. It was my first time to attend since tickets were sold out last year before I could purchase. I actually had mixed emotions about it. I was hesitant since I didn’t know anyone who would attend but the topics were interesting and I really, really wanted to go, so I purchased a ticket and booked a hostel. The event itself didn’t disappoint. The venue was at the iAcademy Nexus in Makati. They have a brand-new auditorium which they let us use. Everything about the place was great and comfortable. The organizers also worked well together to make the event as smoothly as possible. The registration started on time. There were some minor adjustments in the actual schedule but they were within the acceptable and expected range. There were several topics and some were simultaneous so one had to choose which session to attend. Ideally, I would have wanted to listen to the other topics as well but I decided to go with the advanced topics. The speakers were all qualified and experts in their respective fields. I really learned a lot of new things to actually add to and improve my services. One of the events that I certainly liked the most was the Tribe Meetup session in the afternoon. I mostly kept to myself during the morning sessions. The most interaction I had in the morning was a quick smile at 2 or 3 persons during the opening ceremony and a quick chat with a Dutch attendee during lunch. Tribe Meetups is a short session for different groups to gather together and chat. It was a typical nightmare for an introvert but I knew I wanted to meet colleagues who can understand what I do in a normal day. We were grouped according to geographical location. I was the only one from Oriental Mindoro but I was grouped together with people from Luzon (outside Manila). The Tribe Meetups session warmed me up but the most inspirational talk for me was the one by Mayo Moriyama, who went from zero WordPress knowledge to a rockstar and lead organizer of Wordcamp Tokyo. She talked about how to start a meetup in your own city and it was just the exact thing I needed to get pumped up about organizing even just a small WordPress community in my area. I had a brief chat with her after her talk and she was so cool and fun to talk to. Another fun thing about Wordcamp was the freebies I got from the organizers and the sponsors. 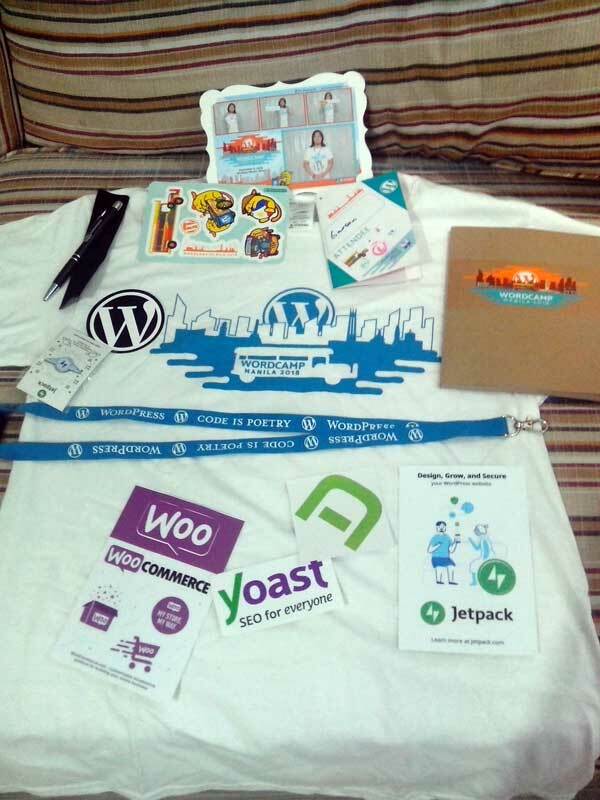 I got an extra free shirt, lots of stickers, a notebook, pins, a Woo ballpen, and a cool ID strap. 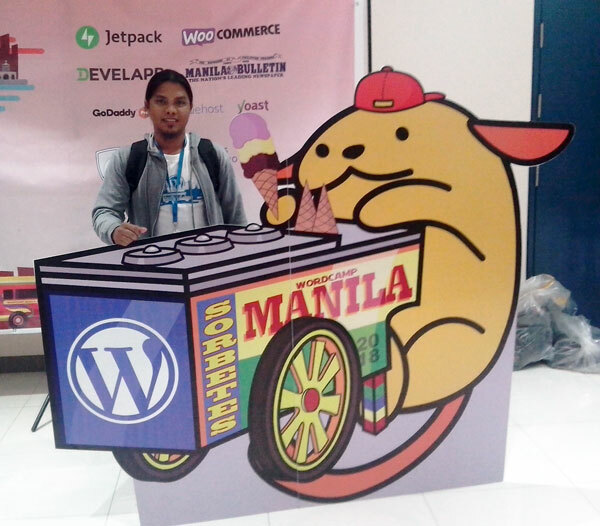 A few days after the event, I decided to create WordPress Mindoro on Facebook and invited a few of my friends to join. I’m hoping this is the start of our own community of WordPress students, developers, designers, and managers in Mindoro. 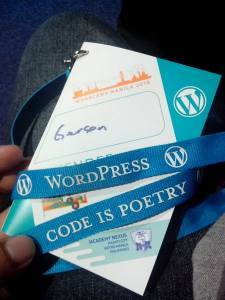 Looking forward to Wordcamp 2019!